What is intentional community? There is no singular definition, so it is difficult to generalize. But perhaps the common element among intentional communities is to manifest a focus, or concern, of the community, and then live and work to make that focus/concern a priority among the people living in the community. 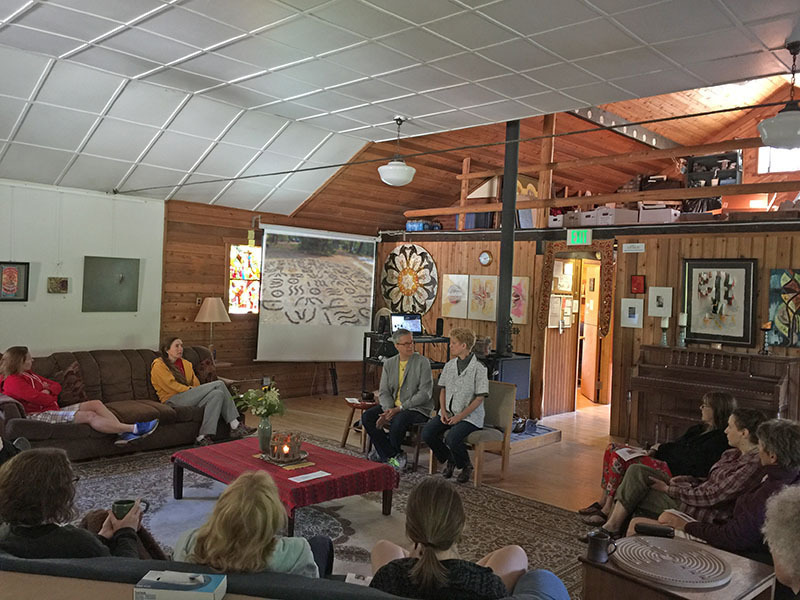 Intentional communities are usually bound by a certain location; the members generally live and work in close proximity to one another and share resources such as land, housing and food. The focus of the Grünewald Guild in Plain, WA, is "Art + Faith + Community." 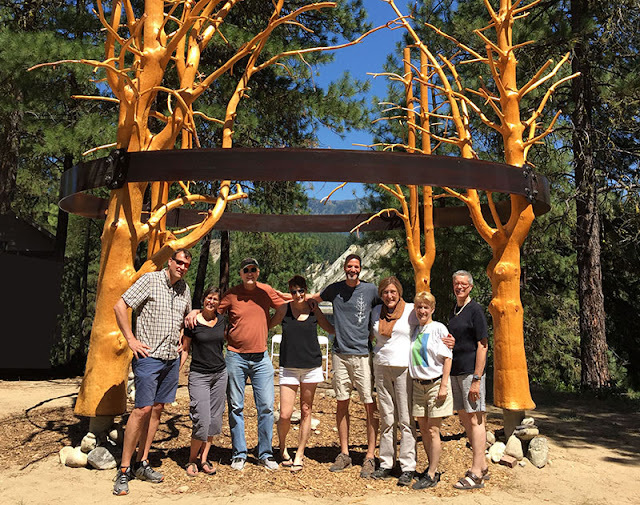 The "Guild" was founded in 1980 by Richard and Liz Caemmerer. Rich Caemmerer (1934 - 2016) was the son of a Lutheran theologian, an art professor at Valparaiso University, a husband and father of 4 children, and a widely-recognized visual artist -- all these life experiences, and more, contributed to Richard's vision for an intentional artists community that eventually became the Grünewald Guild. 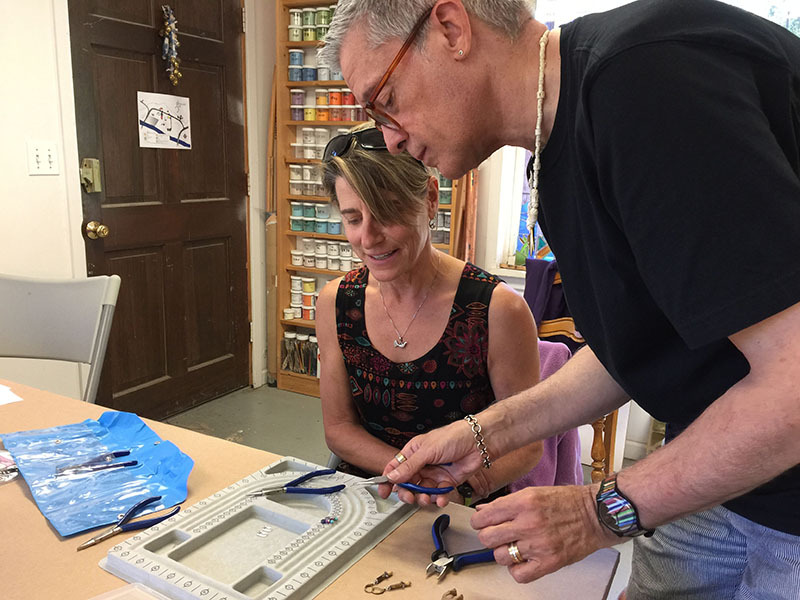 Deborah and Glenn, DOEprojekts, first visited the Grünewald Guild in the early 1990's, and both have lived and taught classes there at various times. This summer, Glenn taught basic jewelry design and Deborah taught a workshop on Coreforms. 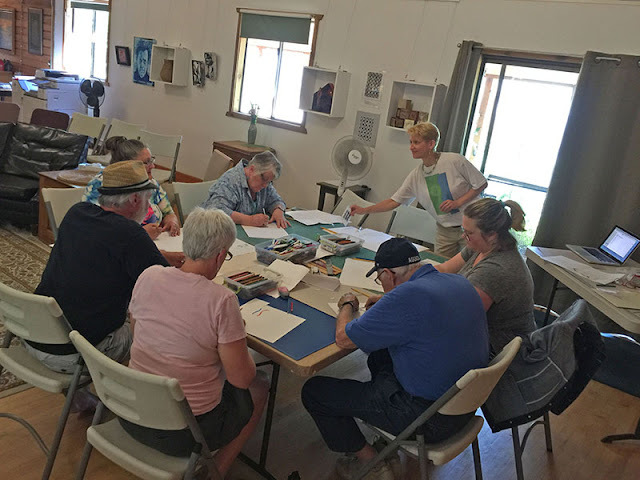 What we appreciate about the intentional arts community at the Guild is its members' welcoming and encouraging attitude in relationship to artistic creation, community formation, and spiritual exploration. All levels of "makers" are welcome, both the beginner and the advanced. People of any faith, or no faith, are welcome at the Guild. Persons of every race and sexual orientation are welcome. 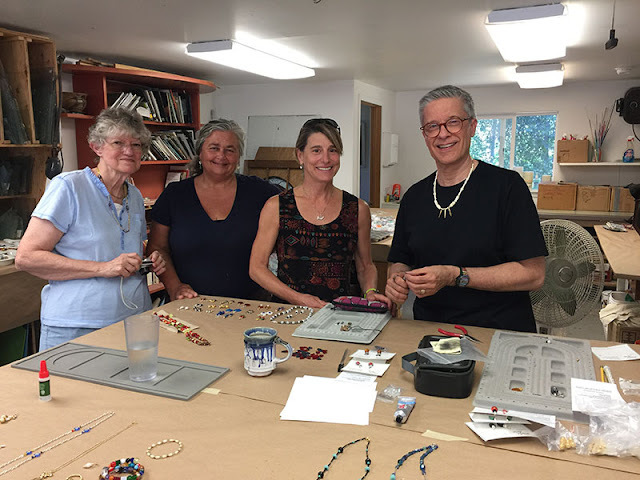 Each person is invited, and also expected, to make contributions to the community — these contributions range from keeping the Guild environment ecologically healthy, to teaching art classes/workshops, to facilitating hikes or meditations, as well as other community activities. For more information about intentional community at the Grünewald Guild, click here. Our next blog post will continue our exploration of intentional communities. Please keep in touch with us through email, DOEprojekts@gmail.com, or through DOEprojekts' social media pages! Thank you for your interest!